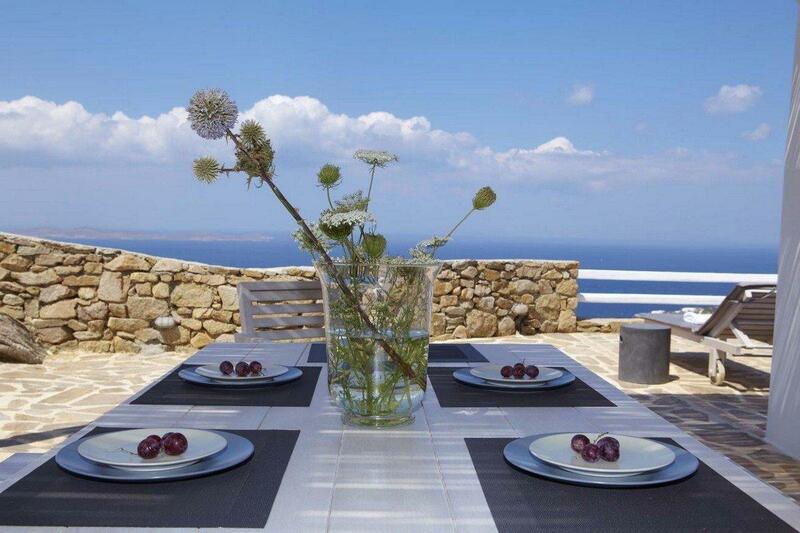 Enjoy the superb view of the Aegean, while staying in Valery. 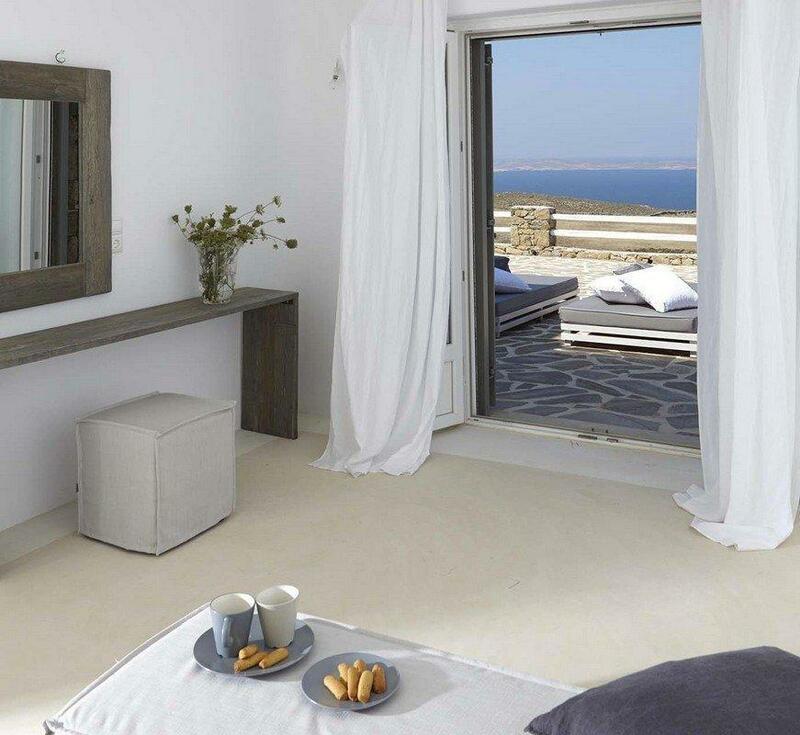 The cool 3-level villa lies in Fanari, the highest region on Mykonos island, offering you the best view. Remember to bring your camera to capture the moment. 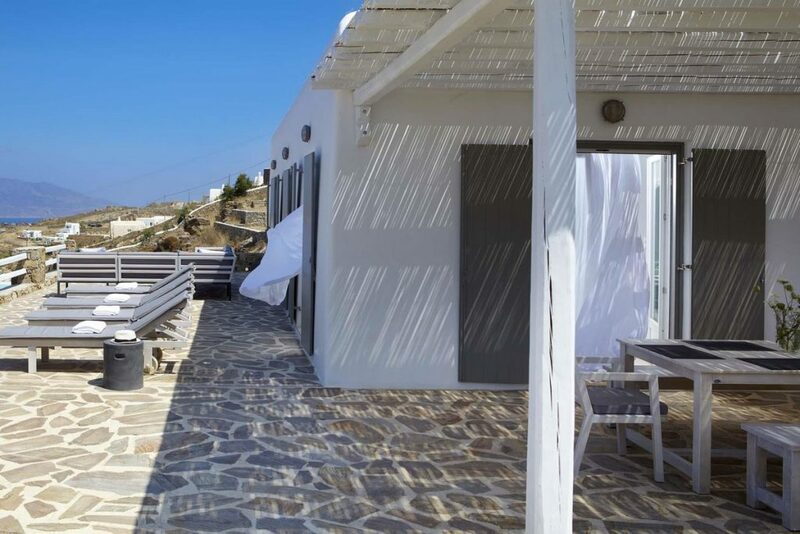 The villa is 3.5 km away from the beach and 5 km from the town! Total privacy! We can guarantee that what happens in Valery stays there! Gather a party of 8 end enjoy! 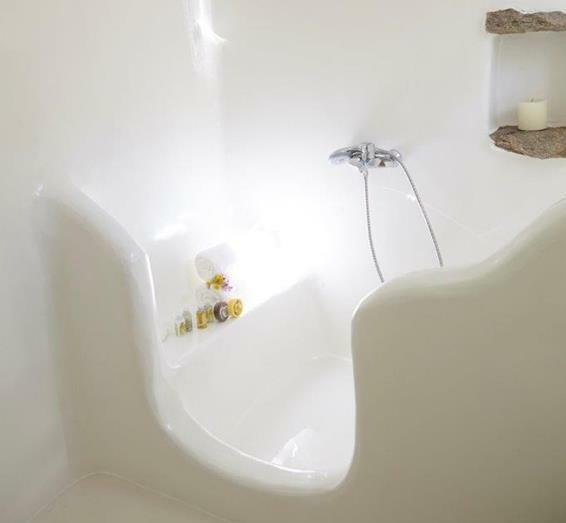 Huge bedrooms, fully equipped kitchen, mini bar, dining room, living room with fireplace are only the starters. Stepping outside (that’s paradise), you will find the infinity pool, sunbeds and loungers. You can also relax in the shaded pergola and admire the unique sunsets and blue view. The villa is part of a 3-detached villa complex, but is completely private. Your luxurious shelter is waiting for you stretch your legs. 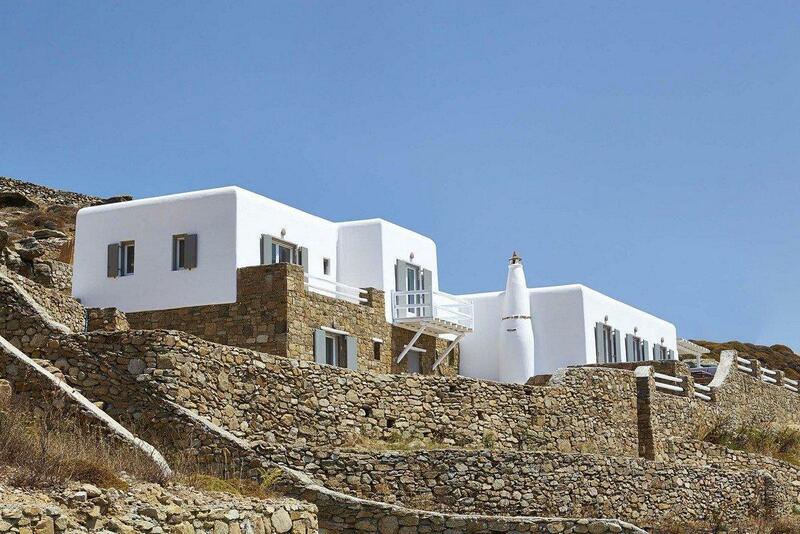 If you want to experience the famous Mykonos nightlife or you are in the mood for island hopping, please drop a line. Our concierge will arrange it for you in no time.